The book, described by Times Higher Education as "an eloquently presented ... and enjoyable guided tour of how the pervasive computing environment, that we now take for granted, developed" was given the award in recognition of its overall excellence, its originality, its importance as a contribution to the field and its value to students of the subject. 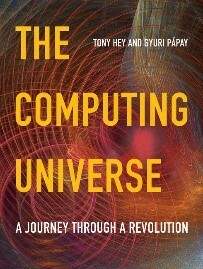 This book is a must-read for anyone who is fascinated to know more about the route by which our modern computing universe arrived: the universe of computers and computing that impacts every aspect of our lives - from our social interactions to our business dealings and the very infrastructure of modern society. The Computing Universe is acclaimed as a highly enjoyable and accessible journey from the early days of computers through to the cutting edge research of the modern day that is shaping computing and our lives in the coming decades. "This is a book that took seven years or more from inception to publication, building on a long-standing relationship with Tony Hey that has existed since the days of the transputer, when I supported him on his Quantum Universe book. 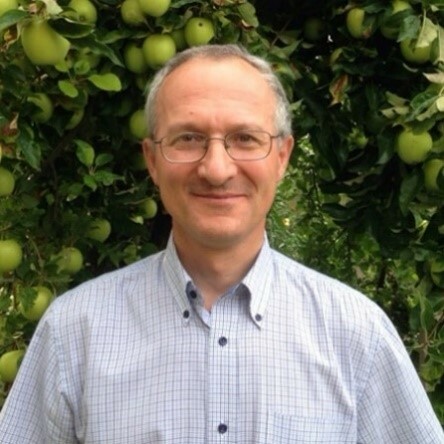 The challenge of working on The Computing Universe was the huge range of topics involved. We tried to show the 'human face' of computing by writing about the people behind the computing revolution, yet tried to make the book fun to read, with many jokes and cartoons included so that readers would learn something new, but have a good laugh along the way. The most enjoyable part of working on the book was the opportunity to communicate with some of the heroes of computing, such as Doug Engelbart, who invented the mouse, Ted Hoff, Stanley Mazor and Federico Faggin who created the first microprocessor, Grady Booch, developer of UML and so many others, all of whom supported the book and provided illustrations and ideas that we could use. I am pleased with this award, and hope the book will become standard reading for computer science students and others interested in the field. It is a rapidly moving and evolving historical story, and one that deserves to be better known."